‘Plans are devised to ensure that mission goals are met through the effective deployment and use of manpower and assets in mitigating risk to threats and meeting other operational requirements’. Realistically, in the commercial corporate environment, day-to-day taskings and responsibilities, aims and requirements of the operation remain a continuing process. 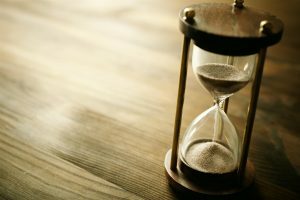 This is due to a constant trickle feed of not only changes to the schedule but also, at times, the very absence of any proper schedule with an ‘as and when’ process being adopted. As such, the process of implementing an operational plan remains a continuing one. The TL makes decisions and risk assessments and deploys assets based on both. The process is dynamic. The operational planning cycle above illustrates this continuing activity. Information is received, threats are assessed, risks and vulnerabilities to threats determined and in line with approved budgets, safeguards implemented. The process remains a continual one for every trip, journey and function, and for every serial on the schedule. Standard operational procedures are put in place; specific training conducted, team attachments briefed, equipment distributed, recces conducted and so on. Hence operations starting from scratch will naturally experience and dictate a far greater workload. The TL has a duty to collate all information, assess it and create a plan. He is then to convert the plan in to an effective practical operation where all those involved understand the goals and aims of the mission and each individual knows each of their own specific responsibilities. Militarily, this is known as an ‘Operation Order’. An Op Order or ‘OPORD’ outlines the situation, mission and activities of the unit to achieve their mission goals. During the operation, the situation may change which means the Op Order needs to be modified. Instead of producing a further Op Order, a ‘Fragmentation Order’ or ‘FRAGO’ is given. Commercially, unless operating in a typical high-risk environment such as Iraq and Afghanistan, with many operators and vehicles on the ground and friendly forces in the area of responsibility, a full Op Order would not be conducted; more a continuing format of ‘FRAGO’ style would be produced. There is no need for the formality of a full Op Order within a small team working the commercial role. Instead, the TL will outline the schedule and task responsibilities in a less formal manner, in a hotel room for instance. 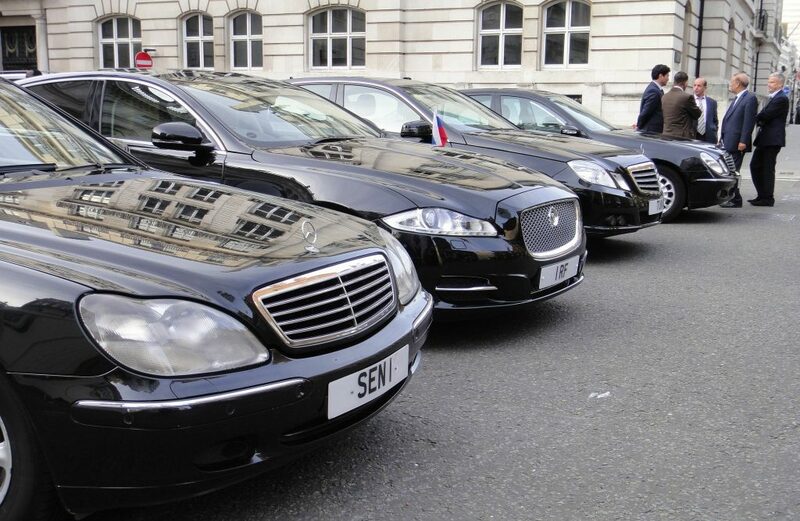 Commercial Close Protection operations are not finite in the manner they are conducted. The schedule is not set, fixed or predetermined. They are flexible, constantly changing in a constantly changing environment. Operational planning cannot foresee events. It can, however, plan for worst case possibilities and cater for the best possible outcomes. It must be remembered, of course, that a plan is only ‘a plan’ and in line with the statement by Colonel Rommel, flexibility and rapid thinking on the TL’s feet is required. It must be said that regardless of any meticulous planning conducted, ‘Murphy’s Law’ (what can go wrong, probably will) applies ubiquitously in the operational environment and a confident attitude to risk is then required. Operational planning remains very much ‘joined at the hip’ with the assessment of risk to threats and situational awareness. Much ado with both is based on history; i.e. historical events concerning the past experiences on that particular operation and the studies of past attacks and methods of operation by the enemy. Planning an effective protection operation is largely dependent on those assets available to deploy, both in terms of manpower and logistics. 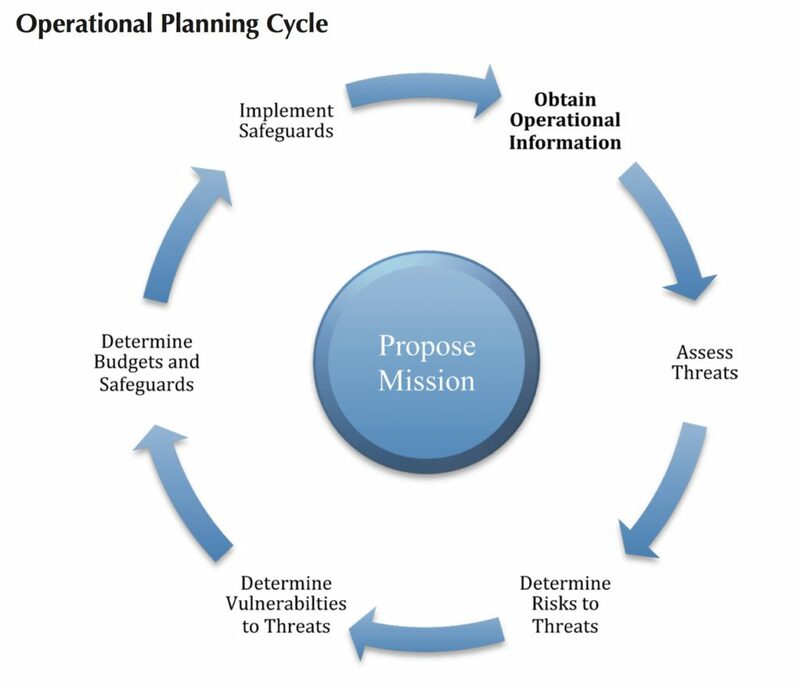 Based on the premise that both are balanced in mitigating the assessed risk to threat(s), then, as mentioned, the planning of an op is concentrated around the passage of information from Boss or Boss’ office to the TL/ BG and the subsequent programme of events on the schedule. As soon as notification of a move has been received, then all travel arrangements are to be made for all those respective elements of the team composition. Decisions are made about specific routes for road moves between locations, recces of those routes and locations are conducted and the briefing of any support staff is carried out. Any overseas deployment on the schedule will require entrance visa confirmations, arrangements for hotel accommodations, local drivers, theatre-specific equipment, including armoured vehicle requirements and weapons, liaison with airport VIP authorities/ private air terminals, pilots/ air handlers and so on. It remains absolutely imperative that the BG has the required contact details for all, including email addresses. 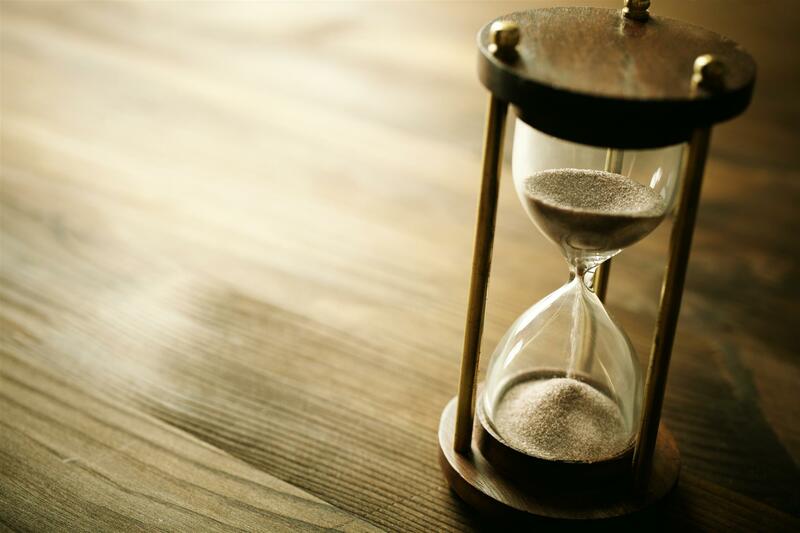 The planning phase is to include ‘actions on’ in the event of short or no notice changes to the schedule and any possible ‘fastball’ requirements. If the IBG role is one within a CPT operation such as conducting the role for the wife or a child,then Post Op Reports  must be completed. Resupply and charging of any equipment/ batteries used and a proper handover must be conducted. Initiative simply means that you do not sit down and wait for something to happen. In war, if you do, it will happen all right but it will be mighty unpleasant. Initiative means that you keep a couple of jumps ahead, not only of the enemy, but of your own men. Field Marshal Sir William Slim, Courage and other Broadcasts, London, Cassell, 1957. Proactivity is the fundamental key to the mitigation of risk to threats and for the planning and preparation for eventualities. The Team Leader must drill down to all such possibilities and make any proactive arrangements necessary in preparation for the team and operational running alike. This includes obtaining visas and vaccinations for those countries they are most likely to be deployed to. Also map appreciations, determining private air terminals, airport VIP authorities and local security company and limousine service contacts. Discussions and resulting confirmations made with those of influence and with the Boss must be acted upon swiftly. We felt that it would be important that we have a worst-case scenario to make sure that our planning efforts were measured against that. Training and experience ultimately defines the level of efficiency of the operators on the ground. It will also define the level of professionalism in the planning and preparation for the operation itself. The ‘could’ve, should’ve, would’ve’ aspect is all very well in hindsight concerning personal administrational aspects. Ill-conceived operational tactics, techniques and procedures adopted in the planning phase producing poor results in the operation itself is very much another. Without taking things to the extreme, good planning will save time, money, ‘face’ – and in certain situations – lives. It will create a smoother, more joined-up operation for the Principal and will not only benefit operational effectiveness and longevity, but the reputations of all. Post Op Reports are reports detailing schedules and tasks undertaken during the course of duty of the IBG/ TL. It also details any liaisons conducted, contacts details notices of intended travel/ future events and trips operational or party political problems and recommendations. The compilation of Post Op Reports provides an excellent informative means of reference for any expeditious future arrangements.